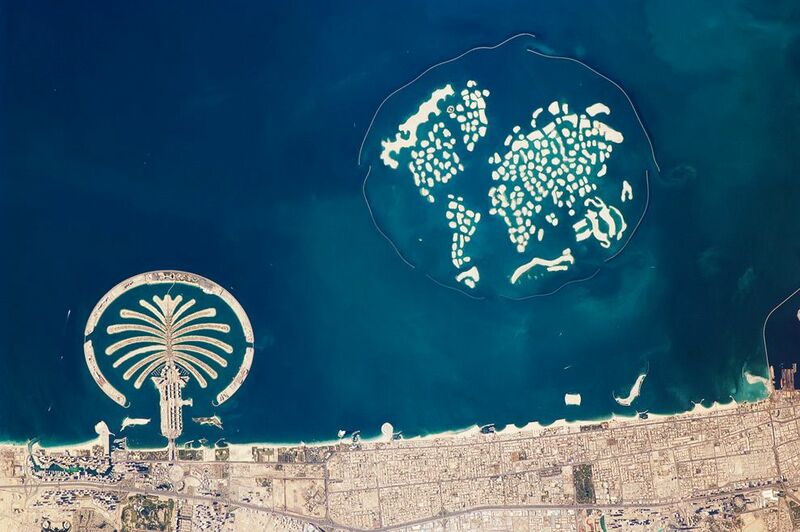 Photo: Satellite image of islands shaped like a palm tree and a map of the world. Encyclopedic entry. An archipelago is a group of islands closely scattered in a body of water. Usually, this body of water is the ocean, but it can also be a lake or river.